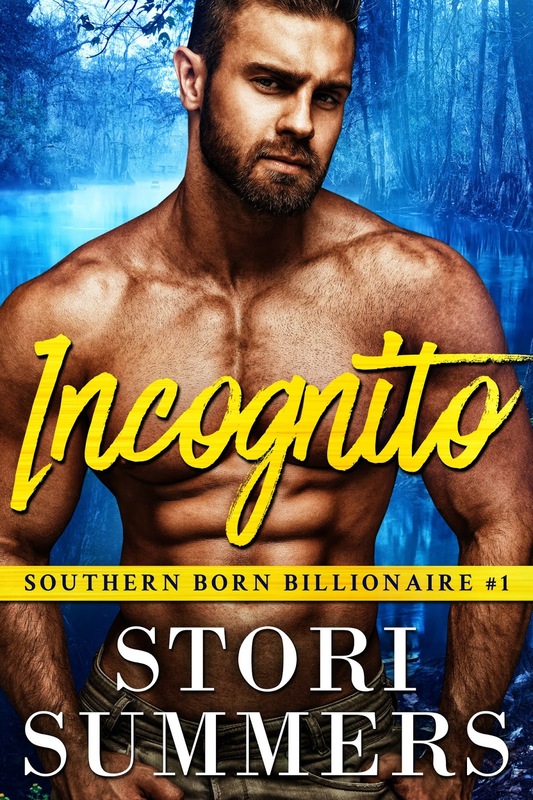 INCOGNITO by Stori Summers releases July 18th! She moved her hand from my shoulder and slid it down my chest. I thought she was going to push me back. I slid my hand down her back wanting to pull her closer, but I resisted knowing I’d probably already pushed her to her limit. I could kiss your sweet mouth all night, and I would love every second. “If this thing between us turns to something more, you won’t be able to get rid of me,” I said realizing as the words came spilling out of my mouth that they were much more forthcoming than I’d intended them to be. I was afraid for a moment that I’d probably just scared her away. Instead, she grabbed the front of my shirt and pulled me close. “Then I guess the only thing to do is give this a real shot,” she said as my arms wrapped around her. Alexandra’s lean arms crossed at the back of my neck as she pulled me in closer. The soft curve of her breasts pushed against my chest making my body ache to feel her against my skin in a way that I couldn’t ever remember feeling before. Everywhere her body touched mine came alive. My tongue delved into her open mouth. I let out a groan as I tasted her deeply, gathering her even closer to me. She couldn’t possibly know how much she was undoing me with her kiss. She drew on my tongue with her mouth in a sweet suction that made my already hard shaft throb with need. I was born in the southern United States in 1975. My family moved around so often that Anywhere, USA became home; as long as it was below the Mason Dixon line. I started college at Northwestern State University of Louisiana, but after three semesters decided I lacked the desire to follow the daily routine and strict schedule required to be a successful college student. I was a wild card...an ADHD poster child. One day I realized that my life had been scattered, and in that moment I could suddenly, and clearly see the results of a life that held no sense of direction. It was my life, and a life that embarrassed me because of my lack of accomplishments. With different careers and life experiences littering my past, I turned to the one thing I had always been good at...being creative. I was good at thinking up exciting tales which was a result of always wanting to be more and live a bigger life. I was a dreamer with a large imagination. I decided that it is never too late, and life was too short to not leave something behind for others. For the first time, writing made me feel accomplished. All my scattered thoughts and meandering paths that I had traveled suddenly made sense. Though my experiences didn't lead to any great accomplishments in my younger years, they are now finding their place in the characters of my stories.